1 in 25 people aged 15 and above have no natural teeth. 3 in 10 people aged 25-44 have untreated tooth decay. 3 in 10 people delay dental treatment (primarily due to cost). 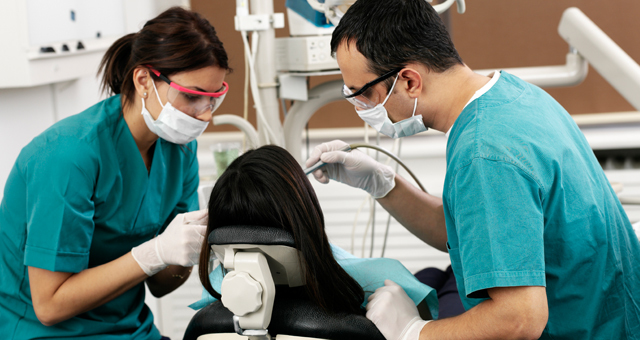 $8.7 billion was spent in the years 2012-2013 on dental treatment. Good oral hygiene demands a disciplined routine. Regularly brush, periodically floss and use mouthwash. This will prevent plaque accumulation and is the first line of defense against tooth decay. It will help you identify emerging dental issues before they become too serious, enabling you to get immediate care. This will prevent higher future costs. Parents in Australia have a major role to play. They should lead the younger generation by example and monitor their children’s dental health. Ingraining good dental practices at an early age will curb dental problems for generations to come. Avoid sugary foodstuffs and indulge in high calcium foods. Calcium is an essential building block of enamel, the backbone of healthy teeth. Pay special attention to food labels and track the levels of sugar you consume. If you must indulge in high-sugar content foods, adapt your dental routine to your eating habits. Brush after indulging. This needs caution as excessive cleaning of teeth erodes them just as effectively as sugars. Balance is key. Lifestyle choices such as smoking and excessive drinking adversely affect dental hygiene. They also exacerbate existing conditions and can lead to life-threatening conditions such as oral cancer. Scheduled check-ups, prompt treatment for emerging issues, tailor-made regimes for your dental type and keeping abreast with the latest dental trends is key. Prudence helps attain and maintain dental hygiene quality. In conclusion, some root causes of this epidemic are ignorance, financial inability or just general apathy. Proper dental hygiene is very crucial. It has been associated with better nutrition, mental and physical wellness. It has the added benefit of preventing tooth loss and economic outpour. A stitch in time saves nine!